The St. Louis Blues are back in a playoff spot for the first time this season. 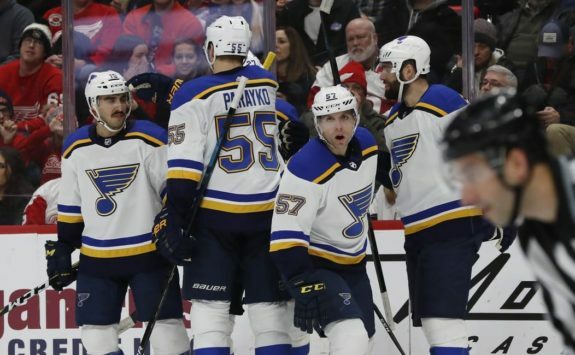 In a turnaround that’s gaining national attention, the Blues have gone 7-2-1 in their last 10 games and have won four in a row for the first time all season. Those good feelings will only carry them so far, though, as they prepare for a critical weekend series with the Nashville Predators. The Predators are just behind the Winnipeg Jets atop the division, and are 15 points ahead of St. Louis, with a record of 33-19-4. It will be a difficult test for the Blues, to be sure, but if they can perform well against the Predators, it should quell any lingering doubt that this turnaround isn’t real. Here are a few of the critical storylines entering the weekend. 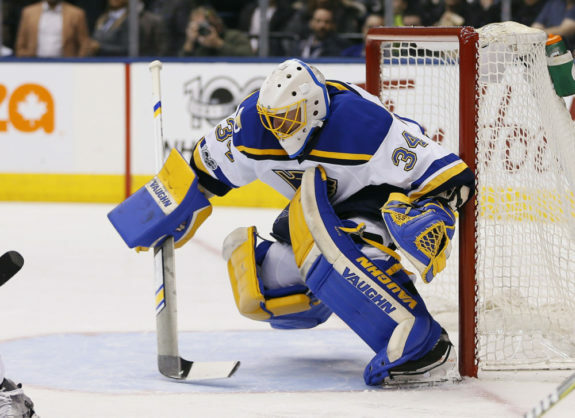 The back-to-back games likely means that Blues fans will see Jake Allen in net once again. The longtime St. Louis netminder, who lost his job decisively to Jordan Binnington, will be making his first start since Jan. 17, a 5-2 loss against the Boston Bruins. Allen’s season, which started abysmally, looked to be on the upswing until a ghastly January. In that month, one that has plagued him throughout his career, Allen was just 2-3, with an .874 save percentage. That, coupled with the red hot arrival of Binnington, convinced the Blues to make a seemingly-permanent change in goal. Now, Allen will be forced into action, and it won’t be an easy test. He’ll be facing a Nashville squad that scores 3.1 goals-per-game on average, and is fifth in the league in goal differential. The Blues will need Allen to keep them in a matchup in which scoring will be at a premium. It remains to be seen whether Allen will be up to the test, but if he proves that he is, perhaps he’ll see a few more starts going forward. If not, the Blues will likely call upon him as little as possible in the tight playoff race of the remaining few months. More bad news came for the Blues in the form of yet another Carl Gunnarsson injury. The veteran Swedish defenseman has shown himself incapable of staying healthy in his tenure with the Blues. Since debuting with the team in 2014-15, he has played just 71 percent of all possible games, and he is now on the shelf once again. St. Louis have recalled Chris Butler from the San Antonio Rampage, presumably to provide relief for the injured Swede. It’s a particularly difficult loss, as Gunnarsson is actually having an excellent season when healthy. He has three points in his last four games, is a plus-11 in just 18 appearances this season, and most impressively, is second in the league only to Erik Karlsson in expected goal (xG) differential. In better news, the Blues may be getting a forward back this weekend. David Perron, who has been out for a few weeks with an undisclosed upper-body injury, is skating again and is expected to be close to a return. It’s especially good news, as Perron was white hot before his injury. When Perron hit injured reserve, he was on a 13-game point streak, which was a personal best and led active streaks, as well. On the season, he has 35 points in 45 games, and has been worth every bit of the investment the Blues made in him in the offseason. Perron will rejoin an offense that is much hotter than it was when he left, as they’ve scored three goals or more in five of their last six games (the exception being the 1-0 overtime defeat of the Tampa Bay Lightning on Thursday). A healthy Perron would be a huge boon for the Blues as they fight to hold onto a playoff spot. There’s no doubt about the gravity of the weekend series for the Blues. The only question remaining is who will step up? The Blues need someone to stand tall and help them win at least one game against Nashville on the weekend. Will there be another low-scoring thriller like their victory over the Lightning? Or will one or both of the games be a blowout, like the last two meetings between these two teams? Only time will answer these questions, but the Blues know how important this series is. It’s an opportunity to prove that their turnaround is for real, and confidently label themselves playoff contenders.